How are we already at the last weekend of January?! Time really is flying by, so be sure to make the most of your time off this weekend with the little ones, and enjoy one of these fantastic activities taking place across Dubai. 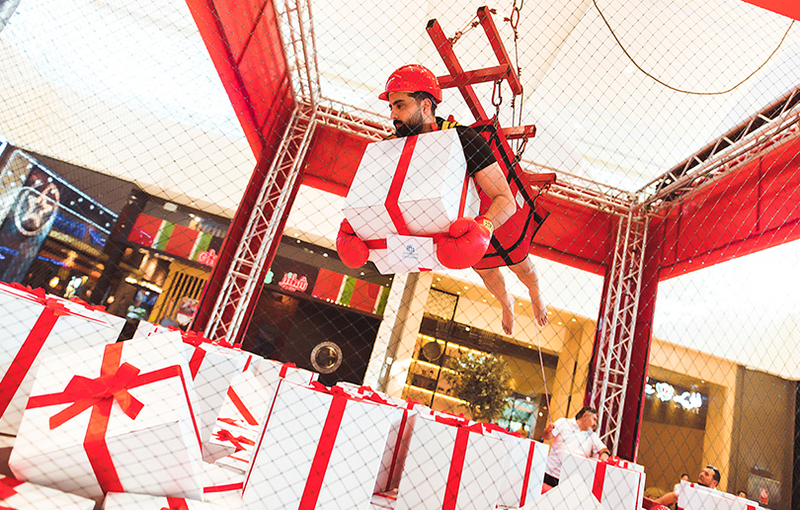 City Centre Me’aisem has unveiled a crane-like device to transport shoppers into a giant gift pit, for the chance to win great gifts from the huge pile of surprises! It is designed for both adults and children, so the little ones can win big too! While one person turns into the human claw, the other controls the movement to steer them to victory. Prizes from different outlets and venues include Magic Planet, Ski Dubai, Patchi, Aldo, Bath & Body Works, in addition to mall gift cards and shopping vouchers. Visitors who spend AED 200 at lifestyle and fashion stores at City Centre Me’aisem are eligible to play the game. Good luck! Details: Available to play at City Centre Me’aisem until January 26th. Dubai Shopping Festival (DSF) will welcome its popular Market Outside the Box (MOTB) back on 24 January until 2 February. The grass roots-led initiative will host exciting vendors across the 10-day showcase in Burj Park, welcoming visitors to shop al fresco from 4pm to 10pm on weekdays, and 10am to 10pm on weekends. The free-to-enter market will include a range of activities for the whole family to participate in such as arts and crafts workshops, cap customisation, jewellery making and shoe art sessions. Details: MOTB is free to enter, and is open 10am-10pm this weekend at Burj Park. For more information and a full update on DSF activities, visit http://www.mydsf.ae/ or @DSFSocial and #MyDSF. The Lighthouse Arabia is holding a wellbeing event this Friday in Al Safa 2. ‘Discover Your Light’ will be held from 11am-4pm at 821 Al Wasl Road, Al Safa 2, Dubai, and attendees can expect a full day of interactive wellbeing workshops and informal discussions facilitated by The LightHouse Arabia’s team of qualified and experienced psychologists. The day also offers free 30-minute emotional wellbeing check-ups, four interactive panel discussions addressing adult mental health, special education needs (SEN) for children, parenting and relationships. There’s also a kids zone for children aged 4 and above, with arts and crafts, live music and storytelling time – so your little ones will be entertained while you enjoy the range of workshops on offer! Details: For more information, and to sign up for sessions, please visit the website. Alternatively, you can call 04 380 2088 or email events@lighthousearabia.com. 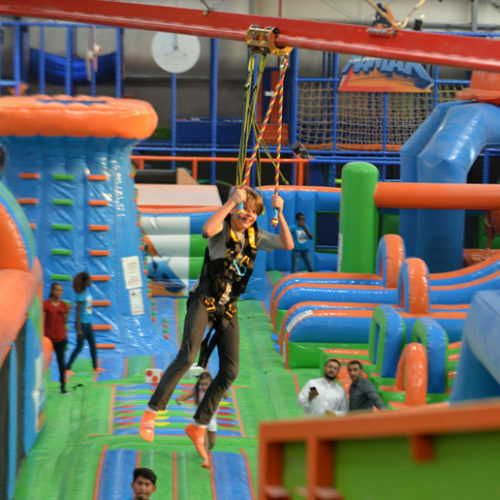 Attendance costs AED 105 per person, for ages 12+ years and is inclusive 5% VAT (children from 4 – 11 years old and nannies attend for free). Bring family, bring mates and even bring your pets for a fun-filled gathering over scrumptious bites, family movies and kids workshops in the perfect weather at City Centre Me’aisem’s second edition of ‘Outdoors’ from January 25 until March 25. This pop-up community hub, known as ‘Outdoors’ brings a host of exciting food trucks and stalls, entertainment and activities for visitors of all ages. The area just outside the mall has been transformed into a vibrant communal space inspired by buzzing international food markets where people can take in the fresh air, get active, make new friends and let your pets socialise too! Details: For more information, please visit the City Centre Me’aisem website and social media platforms: Instagram and Facebook.